I get a lot of emails from readers and many of them have the same problem. They have no money or no way to finance an investment property. Having no money makes it tough to buy a house, but not impossible. 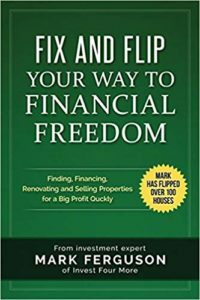 One of my biggest frustrations is that when people have no money or no financing, they don’t do anything to fix the problem. They feel stuck, but there is always action you can take to make your situation better. Often, people with little money could actually invest in real estate if they knew what to do. Even if you cannot invest in a property right now, there are many things you can do prepare yourself to buy a property. I will not lie and tell you everyone can buy houses without any money. It is possible to invest in real estate without money, but it is hard and it will take a lot of work. It will also take getting out of your comfort zone and making changes in your life. There are a lot of people who want to invest in real estate but never do it. To be one of the few who invests you have to take action and a lot of it. 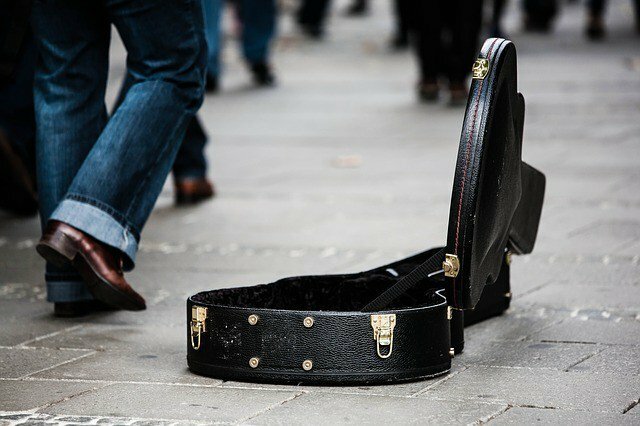 I wrote this article to help people who feel stuck because they have no money, but want to make a huge change in their lives. Not only will this article give you some ideas on how to invest in real estate without much money, but I will also give you the first step to make it happen (it does not involve buying anything). Wholesaling: Wholesaling is the most common thing taught to investors who want to make money in the business without any money. You can make money wholesaling, but you still need some money. The very cheapest way to wholesale is driving for dollars, which means you need a car and a phone. You can probably get started wholesaling with a couple hundred dollars. To me wholesaling is not really investing, it is a job. Using private money: A lot of people look for private money when they cannot get financing themselves or come up with 20 percent down to buy a house. Private money is great, but there is no secret website or guy on Facebook who will lend new investors 100% of a deal at 3% interest (I see these scams on my Facebook group all the time). You need to find the private money through your own contacts. Buying houses subject to a loan: You can also buy a house that already has a loan on it, with very little money. However, many times the houses are not great deals and it is possible the bank could call the loan due if they out. Partnering with other investors: There are investors who will partner with flippers or rental property owners. In some cases, those partners will provide all the money, but they are not easy to find. They also like to work with experienced operators. Buying as an owner occupant: If you want to flip houses or buy rentals, the best way to do it with no money (assuming you cannot find private money) is to buy as an owner occupant. Live in the house for a year or two, and then sell the house or rent it out. It takes some money to buy a house as an owner occupant, but very little compared to investor loans. Why is buying a house as an owner occupant the best way to start investing with no money? When you buy as an owner occupant, you can put nothing down in some cases using VA loans or down-payment assistance programs. Yes, you must qualify for the loan, but many people with sketchy finances can still qualify for an owner occupant loan. If you cannot qualify for a loan, I will give you some advice soon. One of the great benefits of investing in real estate is being able to buy below market value and the tax advantages. If you can buy a house 20 percent below market value, and live there for two years, your profit when you sell is almost always tax-free. Not tax-deferred, but tax-free. You can take very little money and turn it into a $20,000, $40,000, or $60,000 profit in two years without paying any taxes. Why don’t more people use this strategy? It is hard to find good deals and many times they need work. With a 203k FHA loan, you can finance the repairs, and I never said this would be easy. It is not fun moving into a house that is not perfect for your family. Once again, I never said this would be fun or easy. If you want to get ahead in life with no money, you have to make sacrifices. I cannot qualify for a loan. I will get into this more soon, but I have seen some people with shaky finances get loans. I cannot afford houses in my area. Once again you may have to move to an area where houses are cheaper if you have no money I am guessing you do not have an awesome job that you cannot leave. It takes two years to see any profit. Yes, it takes time to use this strategy, but you also need a place to live, and this strategy kills two birds with one stone. You stop throwing money away on rent, and you are investing. Too many people give up too soon and want instant results. Instant results do not happen. How to qualify for a loan. What is the first step you should take to start investing with no money? You can spend years educating yourself and planning. Planning and education are good, but you also have to take action. Complaining about not having money is not an action. Doing something physical that will get you closer to your goal is an action. What is the one thing you can do right now? Go talk to a lender! When I get emails from people who tell me they have no money or can’t get financing, I ask them what they have done to fix the problem. Most people never respond, but a few tell me they can’t do anything. Once in a while, someone gives me a great answer about how they are trying to change their lives by saving, working harder, etc. Those are the people I love to help and I talk to more. I ask many people if they have talked to a lender to see if they can qualify for a loan, and almost all of them say no. They claim they know what a lender would say, and they do not want to waste their time. How to find a lender. How can a lender help people who want to buy houses with no money? As I said earlier you can buy a house as an owner occupant with very little money. Even if you cannot qualify for a VA loan, you can couple FHA loans with down payment assistance programs. Even if you think there is no way you can qualify for a loan, a lender can tell you how bad it is. The lender can tell you exactly how long it will be before you can qualify and what you need to do to make the process move quicker. If you have bad credit a lender can tell you how to fix it. If you have a high debt to income ratio, the lender can tell you how to fix it. The lender can tell you exactly when you should be able to get a loan, which will make all your planning and education much more real and achievable. You can check your credit score here to see if you qualify for a loan. Even if you do not want to get a loan in your name now, a lender can help you plan for the future. You never know what will change your life in one or two years. The better financial position you are in, the easier everything will get. You can get better car loans, private money lenders will take you more serious, and you can start investing in real estate yourself! How can a partner help you invest in real estate with no money? Another thing to consider is that people who cannot get a loan themselves may be able to get a co-signer to help them. If you get someone to co-sign on a loan with you, that person becomes responsible for the loan. That is a lot of responsibility, but it is usually easier to find a co-signer than to find private money. If you can show the co-signer you are getting a great deal on the house, and you may even split some of the profit with them, you have an even better chance. How to find a partner to invest in real estate. 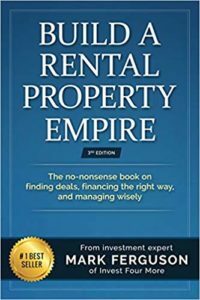 I go over all of these strategies in detail in my book: Build a Rental Property Empire: the no-nonsense book on finding deals, financing the right way, and managing wisely. The book is available as a paperback, eBook, or audiobook on Amazon. It is not easy to invest in real estate with no money. There are many ways to do it, but they all take work and sacrifice. If you are too busy or scared to talk to a lender about your finances, you will not be a successful real estate investor. The lender will help you get your finances in order, even if you never get a loan in your name. They can help you improve your credit, and make you more attractive to partners or other lenders. If you want one step to take right now, go talk to a lender. If you don’t like that lender, talk to as many as you need to until you find the right one.